The majestic Groenberg Mountain presides over Linton Park Wine Estate, which is minutes away from the charming town of Wellington in South Africa’s Western Cape province. Linton Park’s legacy began in 1699 as the farm De Slange Rivier. Our original farm was named for the winding stream Slange Rivier (Snake River in English) which still flows down the mountain. The Estate’s three centuries of winemaking tradition is honoured by our grape-growing and winemaking teams. We respect the vine’s natural cycles and by using modern cellar practices we make complex yet elegant, characterful, award-winning and identifiably Wellington wines. The Estate was purchased by Camellia Plc in 1995. The United Kingdom based multinational is a global group, listed on the London Stock Exchange and employs over 79 000 people worldwide. Camellia’s interests include tea gardens, macadamia, citrus, barley, pineapple, almond and avocado plantations in the agriculture and horticulture sectors, private banking and financial services, food storage and distribution and engineering. Our farming practices work in harmony with nature. This, combined with the reduction of spray programs, has permitted a sustainable and sensitive eco system to be restored within the property. Raptors and birds along with small deer and rodents, bees and peacocks all play their role. Auspiciously and most exciting is that we have also had sightings of Caracal and Cape jackal which further endorses our ecological and responsible approach to the land. Our thirty vineyard blocks range in altitude from 200m to over 550m. Our magnificent elevation and slopes enable our vineyards to enjoy a slightly earlier harvest than the rest of the Valley due to the additional 2–3 hours of sunlight a day. Our farming practices work in harmony with nature. This, combined with the reduction of spray programs, has permitted a sustainable and sensitive eco system to be restored within the property. Raptors and birds along with small deer and rodents, bees and peacocks all play their role. Auspiciously and most exciting is that we have also had sightings of Caracal and Cape jackal which further endorses our ecological and responsible approach to the land. 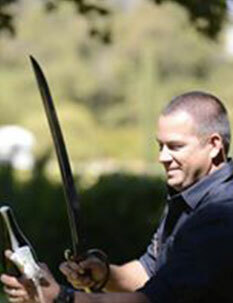 Our winemaker is none other than the dynamic and multi-talented JG Auret − as much at home with wine as he is with a power drill and a sabre.